Mining in Mexico has 500 years of history and the industry represents a significant part of the national and state economies. Many of the Mexican cities, such as Guanajuato, Zacatecas or Durango, where developed thanks to the mining activity therefore the mining tradition in Mexico is not new, it came from many centuries ago. Mexico remains unexplored if we consider that 22 to States of the 31 have mineral deposits, according with recent geological surveys 2/3 of the country possess ore deposits, as well as due to new technology have revived exploration activities in areas considered exhausted. Entirely new ore zones have been rediscovered in historic districts such as: Guanajuato, Fresnillo, Bolaños, Dolores, San Martin Sabinas, Concepcion del Oro y Tayolita, amongst others. The mining industry represents around 1.5% of the GDP and employs more than 250,000 people. 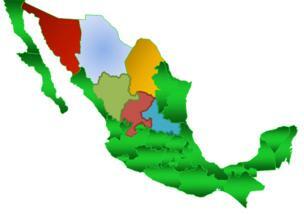 The main mining states are: Sonora, Chihuahua, Coahuila, Durango, Zacatecas, and San Luis Potosi. Mexico is well-known worldwide for being the single largest producer of Silver (18%), Celestite (38%) and Bismuth (29%), as well as one of the largest producers of the wide variety of other metals. Amongst other mining opportunities in Mexico are: soda ash, fluorite, zinc, molybdenum, lead, copper, salt, arsenic, barite, cadmium, manganese, gypsum, wallostonite, feldspar and sulphur. In 2008 around $6.0 trillion were invested in mining projects and Latin America received around 25%. In Mexico most of the mines belongs to Mexican national, but there are around 200 foreign companies exploring and operating in Mexico, and more than 70% are Canadian. 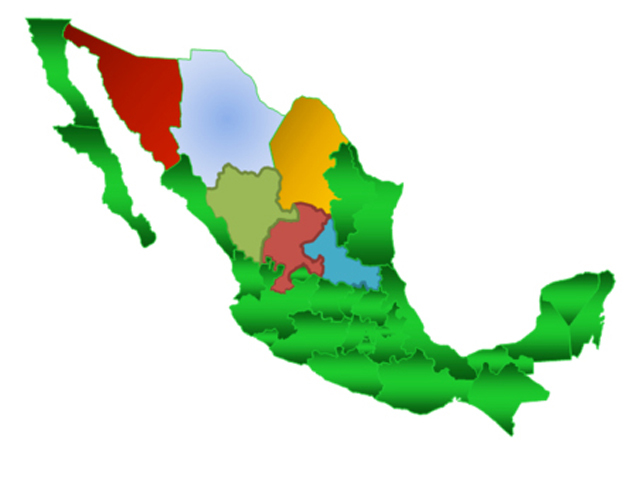 There are key mining companies operating in Mexico like Met-Mex Peñoles, Grupo Mexico, Frisco and Luismin-Goldcorp. A strong framework supports the mining industry and facilities business. The Mexican government approved restructuring of its Mining Law in 2005 to deregulate the sector. The mining industry in Mexico falls under North America Free Trade Agreement (NAFTA) regulations, therefore equipment and systems must meet various Mexican Official Norms (NOM) requirements. -Allows up to 100% private ownership in equity exploration, development and production of mineral substances. -The general guidelines issued by the concession granting bidding of non-incorporated assignations are established. The concept of economic counterproposal is added. -Timing and authority’s answer to the cancelling of a concession or substitution in bidding are established and the same applies to cases when the bidding was declared void. -Exploration concessions are granted for six years and are not renewable. ?? Environmental. Under Mexican mining law concessionaires must comply with the Federal Environmental Regulations. Mining activities are subject to an environmental impact statement authorisation. General Mining Coordination (Coordinación General de Minería). This is the highest authority in Mexico, it depends on the Ministry of Economy and it is responsible for developing the mining industry through mining promotion, basic geological information, legal issues and concessions. The Mining Promotional Trust (Fideicomiso de Fomento Minero-Fifomi). It is a federal state–owned financial institution dependent on the General Mining Coordination part of the Ministry of Economy. The trust operates around 5.0 million capital fund to support exploration projects of SME’s mining. The Mexican Mining Chamber (Cámara Minera de México-Camimex). This is Mexico’s most important association representing private mining companies. It is a lobbying organisation and their policies positions are taken into consideration by government authorities.